One of the most historic towns that can be found along the Volga River, Uglich is a firm fixture on many Russian river cruise itineraries. It can trace its history back to 1148, though some local stories date it even further back to 937. It certainly has a turbulent history, passing between the hands of Grand Dukes, tsars and most notably, Ivan the Terrible’s only brother Yury. It was after the latter’s involvement that the town prospered the most during the 16th century which was also when its most famous incident occurred – the suspicious death of Ivan’s son Dmitry. Today, these figures who dominated the town’s history contribute greatly to its most notable sights and landmarks, chiefly the Church of Prince Dmitry the Martyr. The aforementioned place of worship is the town’s most celebrated attraction and a focal point for one of the country’s most significant historic events, making it a popular place of pilgrimage for many visitors. 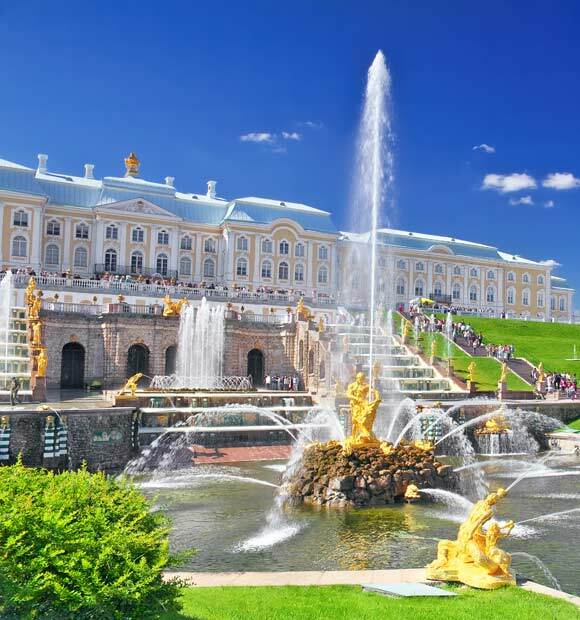 It is immediately recognisable thanks to its distinctive blue onion domes, which are such a defining feature of Russian architecture and was built on the spot where Dimitri died. 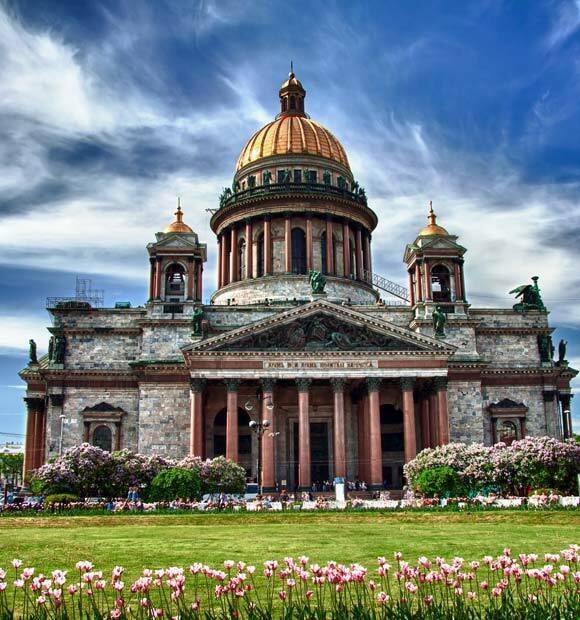 Whether you believe that Dimitri died as result of an epileptic seizure and subsequent ‘falling’ on a knife or that he was murdered, it’s a must-see while in port and offers some fantastic architecture inside and out. 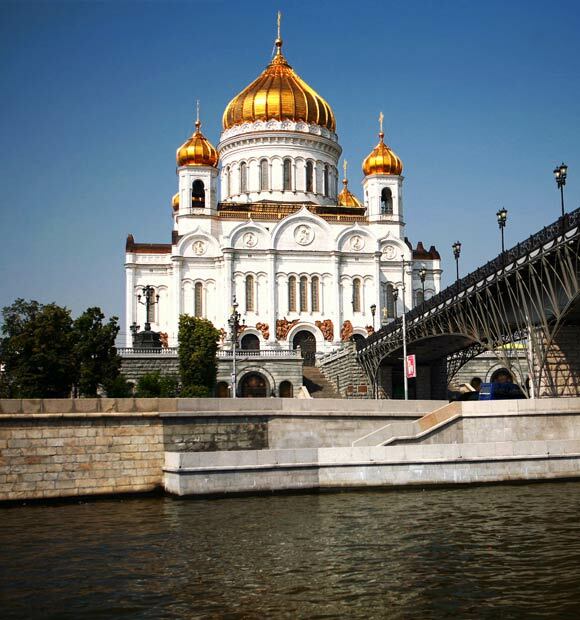 Continuing in the onion-domed theme, the Church of the Assumption and the Transfiguration Cathedral are two landmark faith buildings which are also popular attractions within the town. The former has a yellow-painted exterior which is instantly recognisable and is in fact the third incarnation of a cathedral to be found on the site. Its beautiful frescoes are an impressive tribute to classic Italian art and date back to the 19th century. The latter is a little bit away from the tourist trail but worth the trip, with its distinctive architecture and interior artworks. 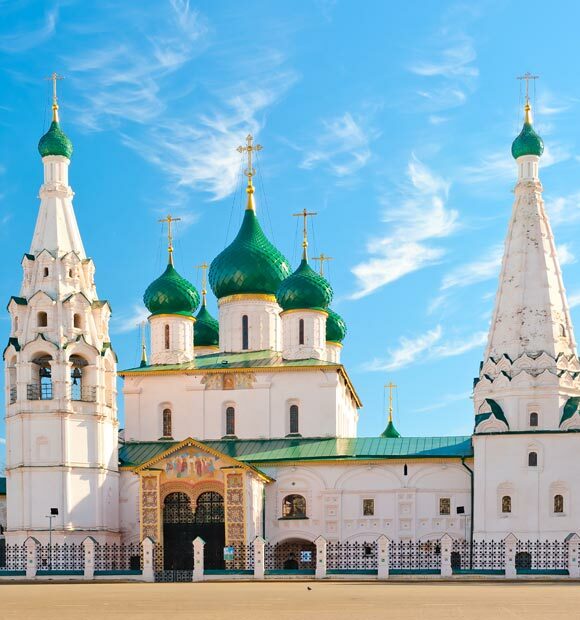 Alexey Monastery and Korsunskaya Church are two more religious landmarks which are certainly worth a visit if faith architecture is likely to form the focus of your visit. If you’re looking to immerse yourself in the region’s traditions, a visit to the Museum of Myths and Superstitions of the Russian People is an interesting way to pass the time, while the Prison Art Museum sells original artworks created by prison inmates. One of the things Russia is often associated with is vodka and its biggest alcoholic export is honoured in the town by the Russian Vodka Museum, where you can learn all about the process involved in creating the drink and of course, try a little for yourself. If you’re looking for an extra-special gift to take back home to a loved one, Uglich was once Russia’s watch-making capital and though its golden age of manufacture is over, high-end, expertly crafted timepieces are still made in the town, though make sure you take enough currency with you as they can cost anything between 9,500 and 50,000 RUR, that’s £100-£500.